1. 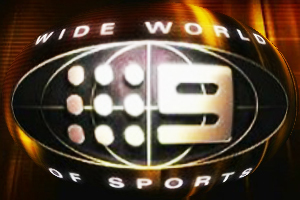 NSW Winning Game 1... convincingly. 2. 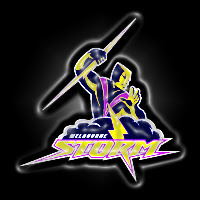 Albert Kelly showing that if a kid gets his head on straight - real talent can thrive in the NRL when given their last chance. 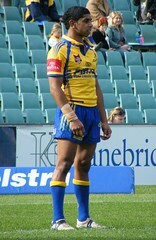 Forget Josh Dugan being the 'reclamation' story of 2013 - he is small fry compared to Albert Kelly. For one, Dugan didn't lose anything when Canberra finally cut him lose - in fact he was always going to get picked back up by a desperate club because he'd shown what he can do - ON the field. Kelly is a different kettle of fish. He hadn't shown much at all in his 14 NRL games before 2013, and had bounced around from Parramatta to Cronulla (for a huge contract for a NYC player), from Cronulla to the Knights (for a few months) and then this off-season the Titans took a chance on him. Evidently he has been the model citizen on the Gold Coast - and isn't his football speaking for itself in terms of how much potential he had all those years ago when Cronulla snared him from the Eels? And now the Titans sit in 5th spot, with Kelly as important as any contribution they have received in getting there. 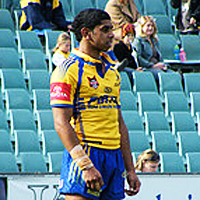 So please - give credit to the kids who actually take their last chance and make it work (ideally we don't have to even have an instance where he needed a first chance), and just realise that for Dugan - his joining St George Illawarra was business as usual for the 'pandered to young NRL talent' and HOPEFULLY he earns everyone's respect again by NOT needed a second chance... but give Kelly the big tick people - and the Titans just upgraded his contract from next season as well. And John Cartwright deserves a pat on the back as well - he could have gone with Jordan Rankin or Beau Henry at halfback and kept the boring kick and hope game plan Scott Prince deteriorated under for the last few seasons - but instead he put Kelly in the #7 and the Titans are fun to watch for the first time in their history. Ricky Stuart had no choice... there was so much dead-weight on the Parramatta roster that had he waited any longer he might have been stuck with a fair bit of it again in 2014. That wasn't an option... so out with the trash! 4. Matthew Elliott keeping his job after a 62-6 thrashing by Penrith of all teams, and then winning 3 straight. 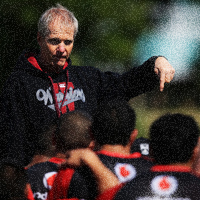 The Warriors might not make the playoffs - or even get a sniff at them, but well done Matt Elliott for finding a way to get his troops to believe in themselves after getting dusted by the Panthers a few weeks back. I don't care if they beat Parra 3 games in a row after that Penrith loss, it takes ticker to rebound from a loss like that... and Elliott obviously has some of his own, and perhaps more significantly - so does his team. 5. 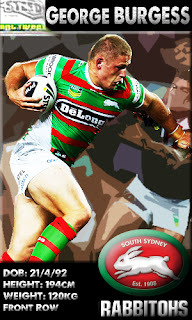 The Roosters rising, the Rabbitohs staying focused and Melbourne being Melbourne. In this age of some truly mediocre football teams - watching these three play every week has been a pleasure - all three have stuck with their pre-season plan and are executing it beautifully to date. Any other team care to join them by actually playing some quality footy for more than a game or two? Say what you will about how QLD 'own the passion' when it comes to Origin... 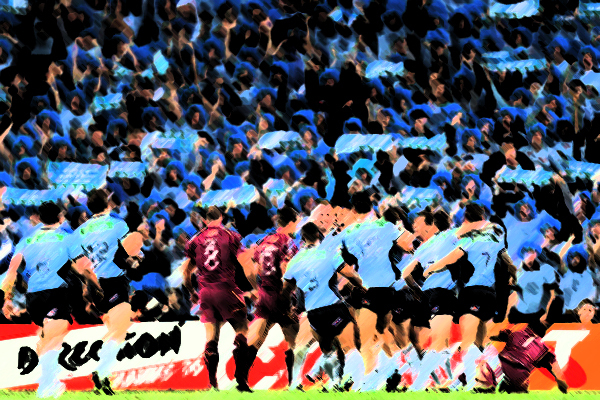 I'm willing to declare that NSW fans have had to rely on their passion even more than any QLD fanbase has since before 1980 to keep turning up for the last three or four series in particular. If anyone with half a memory recalls, once NSW won Game 3 of 2000 by 56-16 plenty of naysaying QLDers weren't happy with where Origin was at as a concept... Fast forward to 2013 and although we've all seen it with our own eyes the last 7 years - the FACT QLD have won 7 straight Origin Series is a stunning reality. Yet NSW fans aren't calling for Origin to end are they? In fact this losing streak just keeps building Origin up even more, and credit to NSW fans for keeping the faith that maybe this year it ends... see Point 1 for reassurance that it actually might. And one more note: When... ahem, if NSW win this 2013 Series - Origin 2014 might have an even BIGGER build up as all those pretend QLDers wake up to a new reality... which for some they've never experienced! 7. 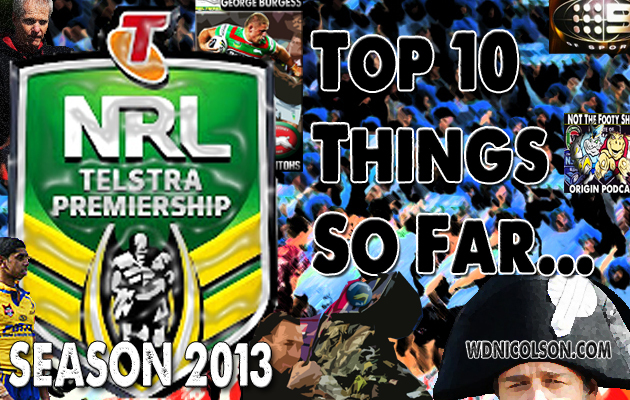 How good is it to see Forwards and not flash in the pan Backs lead the way for the 2013 NRL Rookie of the Year? 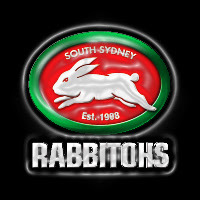 George Burgess has this thing pretty much wrapped up, but Tohu Harris and Kelepi Tanginoa have also impressed with lots of game time as rookie forwards. Jack Buchanan has also been forced to start as a rookie in the front row after Keith Galloway got hurt, no mean feat for a rookie. The most impressive outside back has been towering Roosters winger Daniel Tupou (and when he's eligible to play first grade - Penrith's Matt Moylan), while Anthony Milford of the Raiders looks like the best long term prospect of the halves. Others to put their hand up in recent weeks are Manly's Peta Hiku and a pair of forwards in Penrith's Adam Docker and Wests Tigers' Suaso Sue. There's still a few players we'd love to see more of - David Klemmer got hurt after giving us a taste of the front row beast he might become, Dylan Walker and David Nofoaluma playing more than a handful of games, while Josh Drinkwater has yet to get his crack at the Dragons. 8. 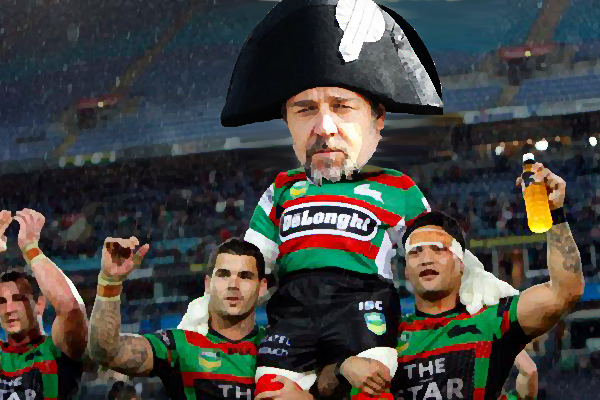 Russell Crowe still owning the Rabbitohs. Check out this interview he does with Wigan star Sam Tomkins on The Superman: Man of Steel movie red carpet in London in the last week... what a great advertisement for why Rugby League is the Greatest Game of All (and why Tomkins should come to the NRL next year). You clicked the link right? If not - stop reading and CLICK IT! 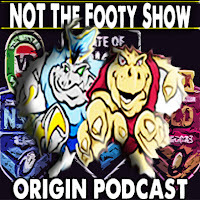 We kept getting tweets and emails as the season got underway from listeners who wanted us to bring it back... so once Origin 1 rolled around I did use an Origin Preview show as a good excuse to get the team back together for a one-off episode on June 1. 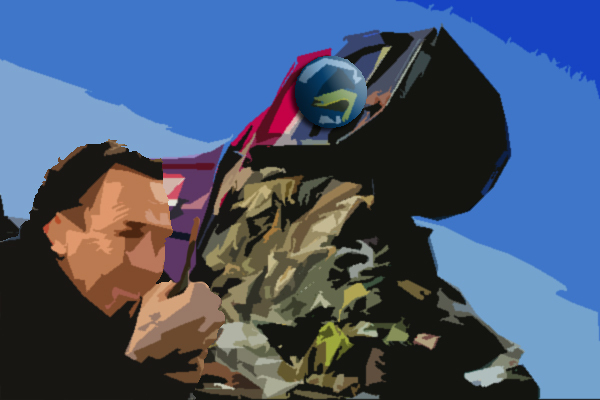 As much fun as it was to do, the feedback was kind of underwhelming... although plenty of you downloaded it (like you did when we were running weekly), we didn't get many actual responses to it and as a result the enthusiasm to put any more together in the near future... is rather limited. It was a blast to record, but sucked to edit to be frank... and a little more feedback would've been a nice pickup for the gang to get together for a follow up. Thank you Matt Nelson in England for your very kind email. Aaron Wallace says the International Test between Samoa and Tonga was a clear highlight the season so far. Completely agree - just having more minor nations take part in regular Tests is going to be beneficial for International Rugby League... seeing it (and other Tests along with Australia-New Zealand as part of the Rep Weekend every year is our real hope. Speaking of International Rugby League - Sam Shaw says the way England's players are going in the NRL this season - the Lions might give the Rugby League World Cup a real shake. 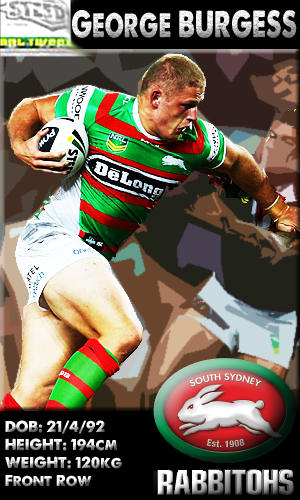 We all know Sam Burgess and James Graham are top shelf, but George Burgess has been a ray of sunshine for the international game and Gareth Widdop finally hit his straps last weekend. 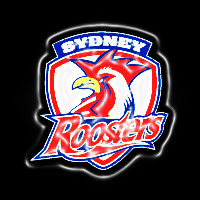 And in other international good news - the Roosters (of course) just signed a Rooster! That is 28 year old French prop Remy Casty... who a lot of good judges in the British Isles rate very highly. 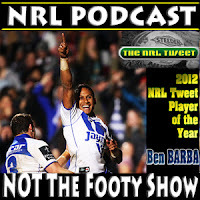 Also here is the Team of the Year based purely on #NRLTweetPOTY Votes through 13 Rounds. Cronk is your overall leader with 44 Votes... can anyone stop him?